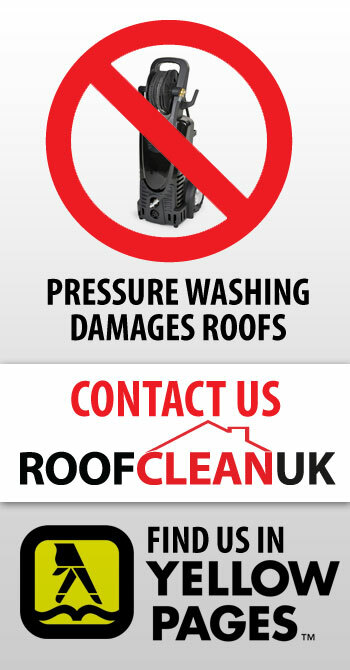 FREE No obligation quotes and advice. All our treatments carry a 3 year written warranty. 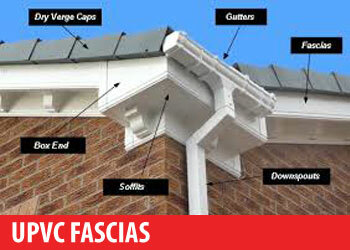 A PVC Dry Verge will protect any roofline it is fitted to. No more replacing cement, totally Maintenance Free. Available in a choice of colours. No weather limitations. This will restore some or all of the original tile colour. age of the roof tiles. We offer very competitive quotes, however, if our fitters are carrying out work in your area, we can offer a more generous discount on accepted quotes. We are based in Scotland, but can offer quotations by arrangement at many locations throughout the UK and Northern Ireland. Simply contact us by email or call 01563 400029 / 07916 460365. We can install a high performance acrylic based roof coating containing fibres which can be used without a primer and has the ability to be applied in damp conditions on most surfaces to fully protect your flat roof. Roof Clean Sealants will waterproof instantly, even while wet, and will not wash off while curing. They will withstand ponding and covers in only one coat which normally needs no primer. 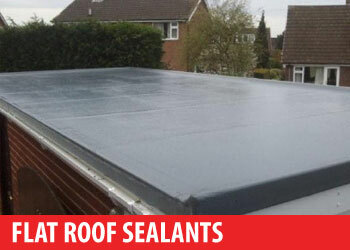 Roof Clean Sealants are a highly cost effective solution for Re-Sealing Flat Roofs. 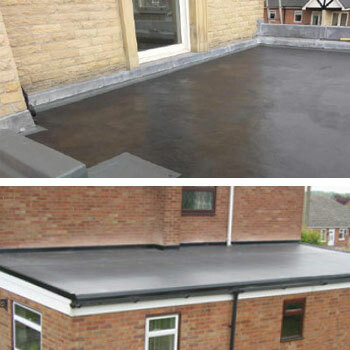 Our application will prolong the life of almost any Flat Roof such as Felt, Garages, Tin, Dormas, Asbestos, Fibre Glass and Aluminium. Not only do well maintained UPVC Fascias, Soffits & Gutters look good, they are also an investment in your property, improving the look and function of your home's exterior. Freshen up your property with a new coat of paint. Not only do we maintain and clean your roofs, we can also carry out a fresh new coat of paint on your property, contact us for a quotation. A) Yes, we have full Public Liability Insurance. Q) Do your treatments come with a warranty? A) All our treatments carry a 3 year warranty. A) No, we won't use any treatment whatsover that would affect the environment. Q) Which areas do you cover? A) We are based in Scotland, but can offer quotations by arrangement at many locations throughout the UK and Northern Ireland. 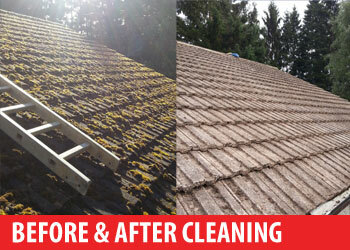 Q) Is your roof cleaning solution safe for wildlife and pets? FACT: A problem can sometimes go unnoticed until it has been pointed out. Have you checked to see how much moss is infecting your roof? We can help. 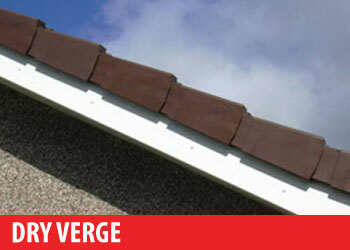 FACT: Roof moss can & will damage roof tiles. FACT: When buying or selling a house, the surveyor will include the presence of moss in his report. 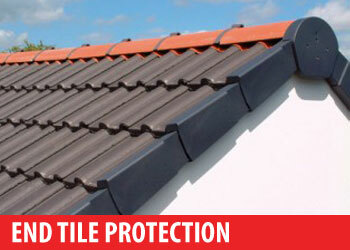 FACT: Pressure washing will seriously damage concrete roof tiles.